International Trade Agreements: Do they Enhance or Degrade U.S. Economic Security? This symposium is conducted in collaboration among the College of Arts & Letters, the Mike Cottrell College of Business, and the Institute for Leadership and Strategic Studies. Throughout the 2016 political campaign season, a great deal of attention has been paid to international trade agreements like the North American Free Trade Agreement (NAFTA) and the Trans-Pacific Partnership (TPP). Populist sentiment on the political left and right has asserted that international trade agreements, which have been one of the cornerstones of American diplomacy for over seven decades, are harmful to manufacturing jobs in the country, have been negotiated to serve an increasingly smaller group of elites, and often undermine the economic vitality and security of the United States. Is this true? Would manufacturing jobs in the Midwest, the South, and elsewhere have remained had these agreements never been negotiated in the first place, or are critics placing the blame for lost jobs unfairly on trade agreements? This conference will address the benefits and costs of international trade agreements historically and will consider what the possible impact will be of no longer pursuing such agreements. In any system of trade, there are winners and losers. Is it fair to say that American economic security is enhanced or undermined, in aggregate, by pursuing open markets? Symposium speakers are experts in the area of international trade. Participants will be highly qualified UNG students and Cadets who are recommended by faculty members in the areas of business, economics, international affairs, political science, and security studies. Cadets from the military academies of foreign countries are invited to participate as well. Participants will be organized into small groups to discuss the topics presented. These discussion groups will be facilitated by academicians and practitioners from the field of international trade. 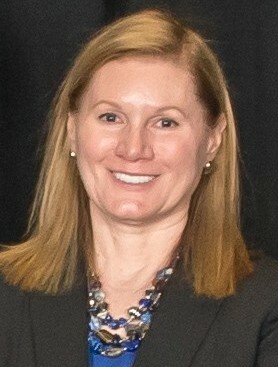 Amy Holman serves as the Director of the Office of Multilateral Trade Affairs, which leads the State Department's trade policy activities in multilateral institutions, including the World Trade Organization (WTO), World Customs Organization (WCO) and Organization for Economic Cooperation and Development (OECD). It also provides technical expertise in regional and bilateral trade negotiations including labor, environment, services, government procurement, customs, trade remedies, textiles, standards, regulatory cooperation, and trade capacity building. Her previous State Department assignments include Economic Counselor, Kabul; Director, Economic Policy Staff, Bureau of African Affairs; Deputy Director, Office of Bilateral Trade Affairs and Counselor for Economic and Commercial Affairs, Islamabad. Amy has also served in Brussels, Lima, Lagos, and Caracas. She holds a Master’s Degree from the School of International Affairs at Columbia University, a B.A. from the University of Michigan, and a B.A. from L’Institut d’Etudes Politiques at the Université de Strasbourg, France. She has a son and a daughter. Her hobbies include classical piano, dancing, reading and cooking. Gary Clyde Hufbauer, Reginald Jones Senior Fellow since 1992, was formerly the Maurice Greenberg Chair and Director of Studies at the Council on Foreign Relations (1996–98), the Marcus Wallenberg Professor of International Finance Diplomacy at Georgetown University (1985–92), senior fellow at the Institute (1981–85), deputy director of the International Law Institute at Georgetown University (1979–81); deputy assistant secretary for international trade and investment policy of the US Treasury (1977–79); and director of the international tax staff at the Treasury (1974–76). Read more about Hufbauer. Mary Waters serves as Deputy Commissioner, International Trade for the Georgia Department of Economic Development. In this role she oversees the state’s International Trade program which provides services that contribute to the expansion of Georgia’s exports, the creation and retention of jobs attributable to exports and the continued internationalization of Georgia’s economy. The state’s international trade program assists companies with exporting and matches Georgia suppliers with international buyers. Ms. Waters is active in trade policy, and serves as a Board Member for the Southeast Region with the State International Development Organizations (SIDO), based in Washington, D.C. SIDO is a national organization dedicated to supporting state international trade development and the role that state agencies play in supporting American exporters. Prior to her posting as Deputy Commissioner of International Trade, Ms. Waters worked as an International Account Manager with Guided Therapeutics, Inc. a medical device manufacturer and exporter located in Norcross, Georgia. She was responsible for the Company’s business development initiatives in Latin America and Africa. From 2008 to 2013, Ms. Waters served as Senior International Trade Manager with the Georgia Department of Economic Development’s Global Commerce Division, managing medical and biotech exports statewide, and helping small and medium-sized healthcare companies successfully export to international markets. A native Oregonian, Ms. Waters holds a Master of Arts in Latin American Studies from the University of Florida and a dual Bachelor’s degree in Spanish and International Studies from Willamette University in Salem, Oregon. She speaks Portuguese and fluent Spanish. Cynthia Rennolds is a cross-functional leader experienced in managing technology projects and providing high-level leadership in Product Development and Management, Product Marketing, Project Marketing, Marketing and Technical Sales. Cynthia is also a researcher, writer, and editor on technical, business and policy topics. She has worked for companies such as Eaton Corp., BellSouth R&D Lab, and Sony Electronics. Driving ideas forward and accomplishing goals within a strategic framework while maintaining a consistency at the detail level is her primary focus. She engages in projects that allow her to use her business acumen, professional expertise, and technology insights. Cynthia is interested in international business, startups, technology, angel investing, Ukraine, and Russia. She is a member of the board of directors of the Atlanta Council on International Relations, a member of the Georgia Council for International Visitors, and a volunteer editor for Razom for Ukraine. Cynthia is a graduate of the Georgia Institute of Technology, and she is currently enrolled in the Master in International Business program at Georgia State University. 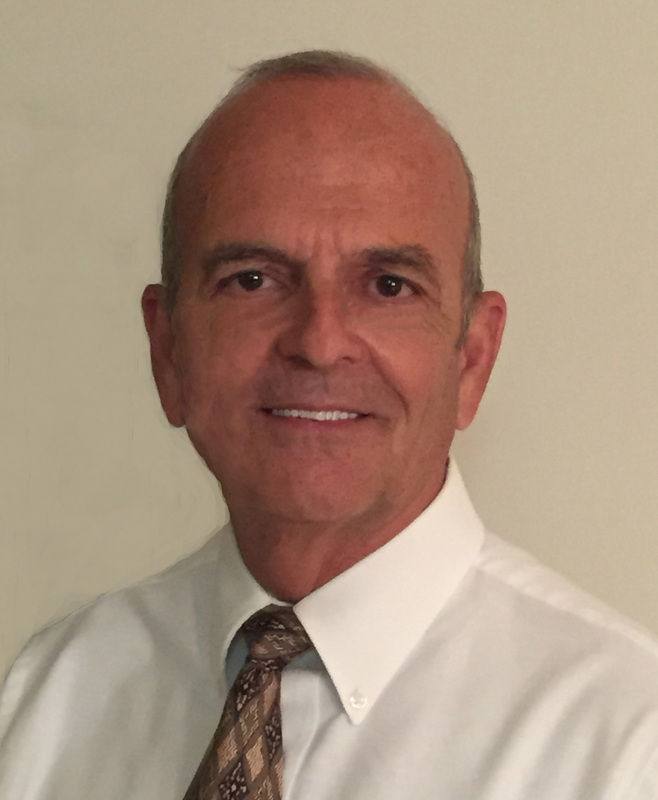 Tony Cuzzucoli is a member of the Atlanta Council on International Relations, a non-profit, non-partisan organization that serves to educate the general public and corporate entities with regard to international events. He serves on its Program Committee and occasionally, he is the designated Moderator for a number of its panel or speaker events. He has utilized his knowledge in government through civic endeavors that began with school board activities, presiding over advisory committees regarding curricula matters, seeking state funding assistance, and lobbying for legislative relief. He also served both major political parties as a consultant for county and state-wide positions in the state of New York. He has served as a member of the Citizens 208 Ground Water Advisory Committee that had oversight for the preservation of Long Island’s sole source aquifer system, serving three million people in three metropolitan counties. Mr. Cuzzucoli continues his civic efforts in Roswell, as past president and current Board member of his Townhome Association, serving in his local Church Food Pantry, and engaging in his Church Men’s Club activities dedicated to charity drives for single parent families and destitute families. Mr. Cuzzucoli continues his civic efforts in Roswell, as past president and current Board member of his Townhome Association, serving in his local Church Food Pantry, and engaging in his Church Men’s Club activities dedicated to charity drives for single parent families and destitute families. Mr. Thacker is a board member of the Atlanta Council on International Relations (ACIR): a non-profit and non-partisan educational organization that promotes that promotes understanding of international affairs through the free exchange of ideas. Mr. Thacker is president and CEO of Thacker & Associates, LLC, a management, and enterprise integration planning consultancy located in Atlanta, GA. The company provides strategic enterprise integration planning, enterprise integration education, and integrated information systems design services to Fortune 500 corporations. Mr. Thacker is the author of A New CIM Model: A Blueprint for the Computer-Integrated Manufacturing Enterprise published by the Society of Manufacturing Engineers. He has been a speaker at national and international symposiums, has written articles on the subject of “enterprise integration planning and integrated information systems”, and is presently writing his second book entitled, Integrated by Design. Served as an Army infantry officer for 20 years. During that time, he served as a mortar platoon leader in the 4th Infantry Division at Ft. Carson, Colorado; light Infantry company commander and brigade operations officer in 172d Infantry Brigade, Alaska; basic training company commander, Ft, Knox, Kentucky; operations officer, U.S. Central Command, MacDill Air Force Base, Florida; operations officer, 3d Infantry Division, Germany and First Gulf War - Operation Desert Storm; Infantry Battle Lab, Fort Benning, Georgia. After retiring from the Army, he became a human resource professional responsible for special projects and training for Blue Cross and Blue Shield of Georgia; worked with Commando Military Sales; and is currently Manager, Documentation, and Manger, State Farm Call Center in Total Systems, Inc.
We are excited for you to be a part of the Economic Security Symposium on November 15! In order to help facilitate discussion before and after the symposium, we have created a discussion forum for participants to use. Please follow the link below, click "Register" in the top-right corner of the page, and then create an account for this discussion board. A message will be displayed that your account is pending approval. Once approved, you can access the board and begin your conversation. We look forward to everyone's posts! Get involved in the discussion now. If you need closed captioning for this event, please email Keith Antonia or call 706 867-4576 before November 11. 1. Students will eat lunch on their own. Students who do not have meal plans will be given meal tickets to eat in the Dahlonega dining facility. Speakers and small group facilitators are invited to eat lunch in the president’s dining room adjacent to the banquet room. No money is needed for lunch, unless you opt to eat in downtown Dahlonega. 3. Wi-Fi access: Username and password will be announced at the beginning of the symposium.